Time for another Sunday Sevens as organised by Nat at Threads & Bobbins . Not that we’ve heard much from Nat lately – where are you Nat, we miss you? 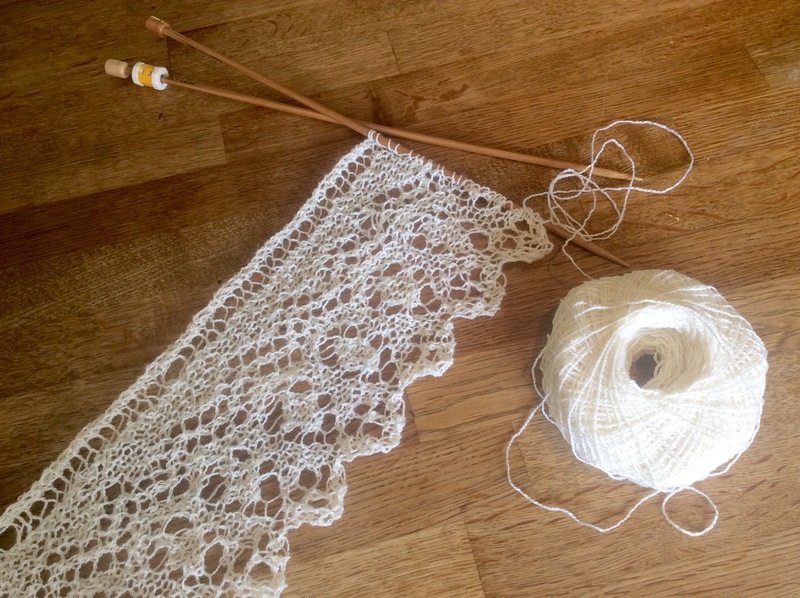 Working on the lacy border for the Baby shawl commission that I’ve been slogging away at for a few months. Baby was due yesterday and I’ve run out of time! Trouble is, I get a numb bum if I sit for more than two hours at a time, so I can’t knit it any faster. 2. Whilst I’m still in my Summer linens and flip flops, I’m looking ahead to more typical Autumn weather and thinking about what to wear on the chillier days to come. 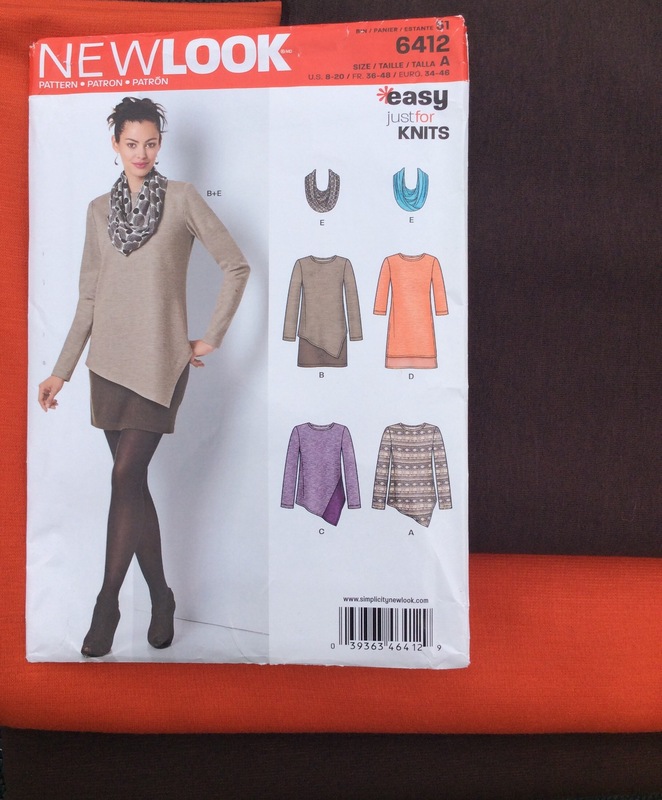 I’m making the main view in orange and brown Ponte Roma – very seasonal colours. It’s actually a dress which looks like a skirt and top and I reckon it’ll get a lot of wear as it’s as comfortable as a tracksuit but MUCH smarter for everyday use. In fact, I’ve already got plans for a second one in different colours. 3. 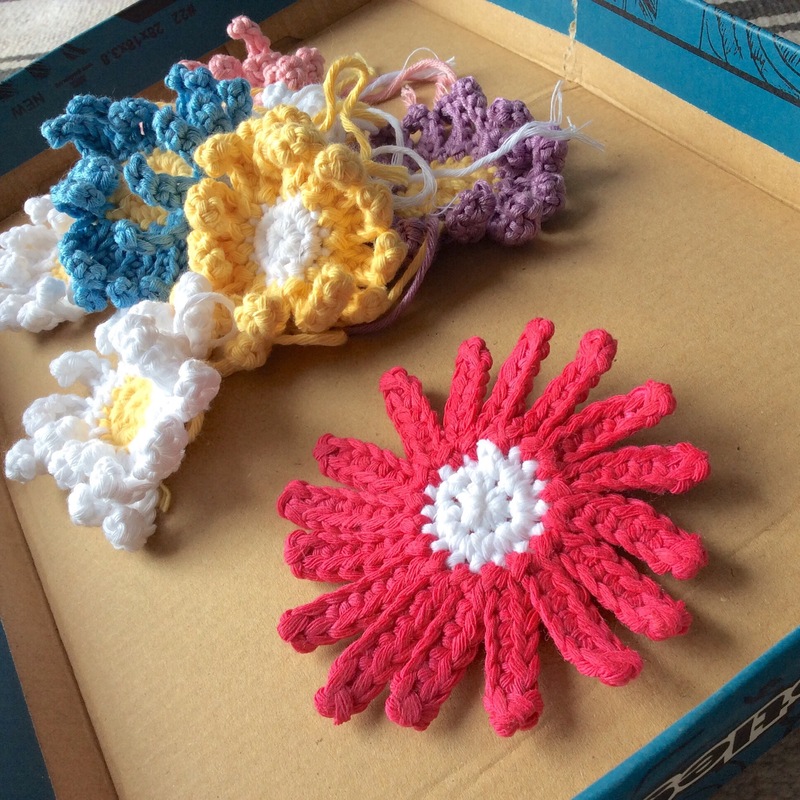 I finally got around to buying some spray starch for all those crocheted daisies that I made back in July. What a difference it makes. These are going to be a garland for my upcycled oak dresser. 4. As you probably know, I cook a LOT, so should be pretty good by now. 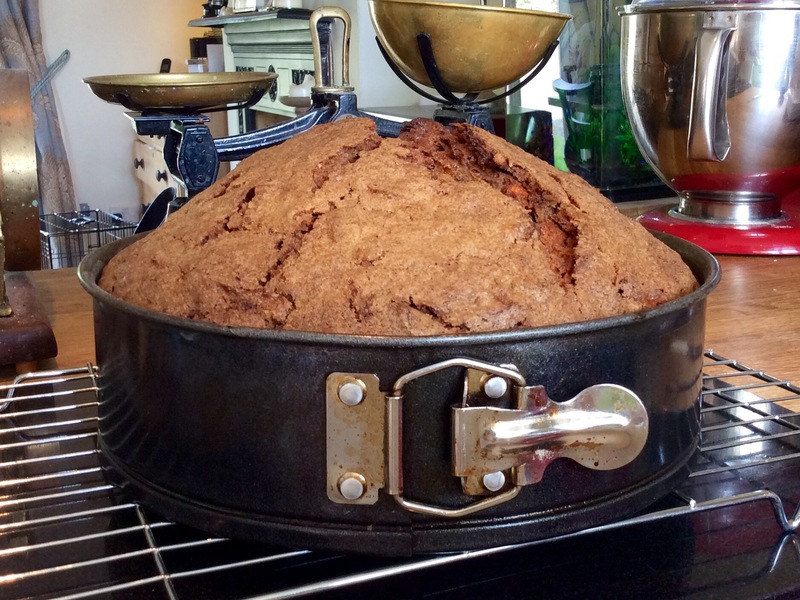 However, cakes are not my forté – they always taste great….but look rubbish. Not this time! 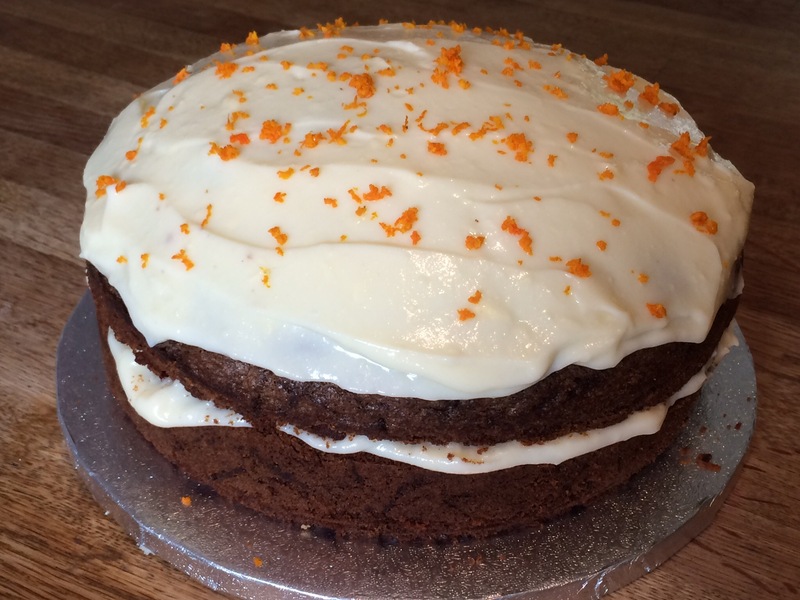 I used this Carrot Cake recipe and followed it to the letter and it actually rose! 5. I doubled up on the icing so that I could put some in the middle, too, and topped it off with the grated zest of an orange. 6. Here’s what’s left of it on the far right after a friend hosted a very successful charity MacMillan Coffee Morning during which over £200 was raised! 7. 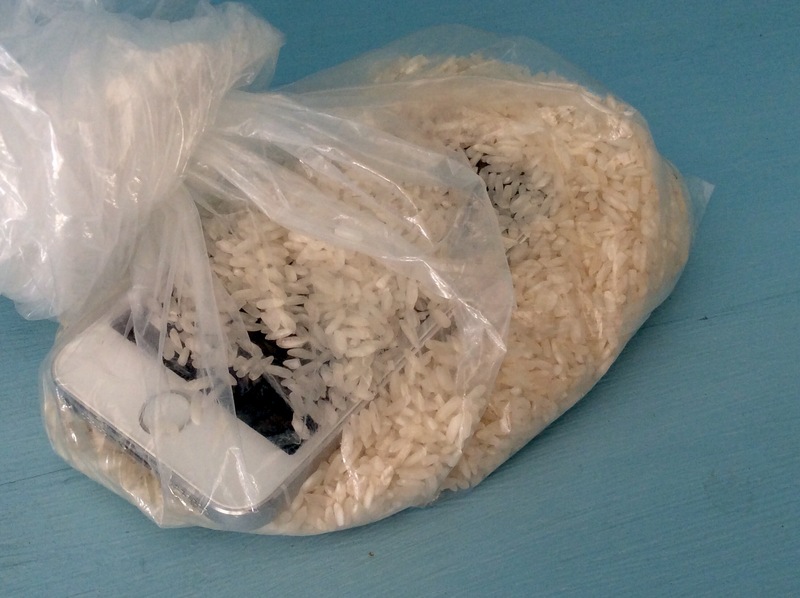 My iPhone 5s is currently residing in a bag of rice. Why? Dear husband left it in his trouser pocket and it went through a wash cycle. I think it’s too far gone to dry out in a bag of rice. I’ve got 18 months left on the contract and no phone so you can imagine how cross I was. Anyone got a spare one…..?! 8. 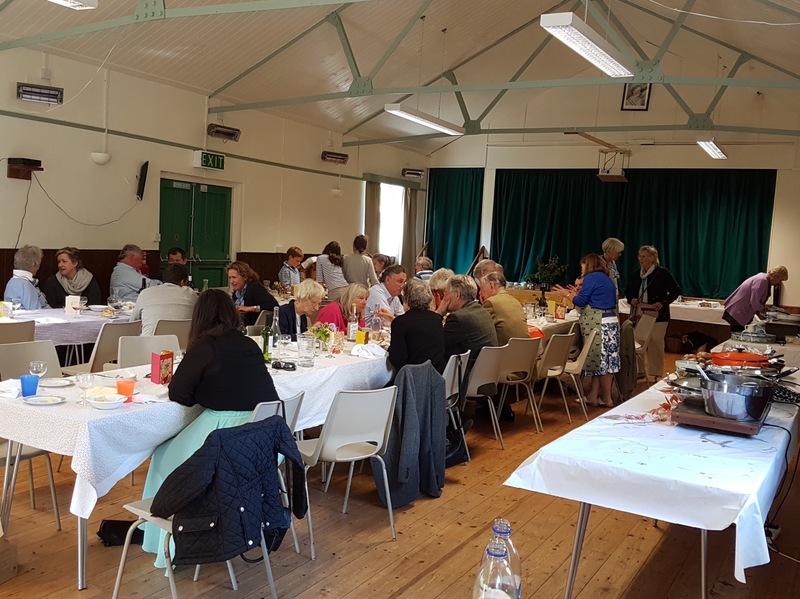 No.1 Son took a snap of the harvest lunch (as I no longer have a camera phone…). It was taken at the end when people had started to leave so you’ll have to believe me when I say the hall was full and it was a lovely atmosphere. 9. 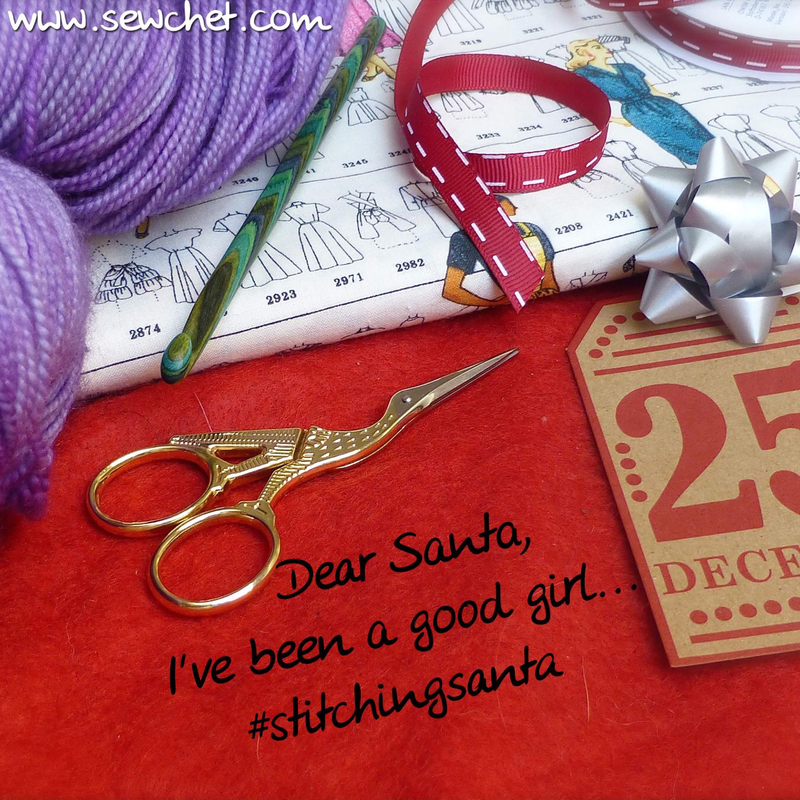 And finally……#stitchingsanta 2016 has started! Click on this link to sign up and take part this year. Categories: Everything Else!, Sunday Sevens | Tags: #secretsanta, #stitchingsanta, Christmas, crochet, harvest, iPhone, knitting, lunch, MacMillan, rice, sewing, Sundaysevens, swap | Permalink. So sorry about the phone. Wish I could help. Your cake looks amazing. The weather up North sounds a bit chillier, my linen trouser days ended last week! Jeans it is! Oh no! So sorry to hear about the phone – the washing machine seems too rough and too wet, but you never know. I once sat in a river for ten minutes (rescuing a sheep) with my phone with a cracked screen in my back pocket and that survived. Edging to the shawl is looking gorgeous. Sorry to hear it gives you a numb bum 😦 And of course I now want cake, looks yum! Well done on raising so much money. I don’t hold out much hope for it but I shall miss it for taking photos on the hoof – doesn’t bode well for future Sunday Sevens, does it and this may have to be my last one. The shawl is overdue now, just like the baby, luckily! 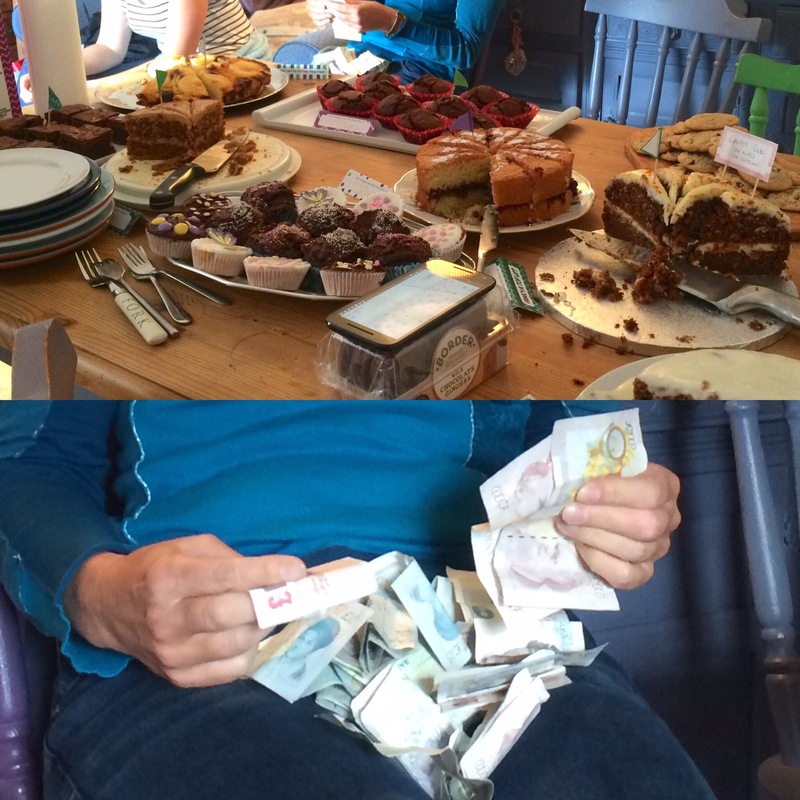 £200 was a good amount to raise, although I only baked a cake and participated while a friend did all the hard work of organising it all. Oh no! Steal someone else’s phone – we all LOVE your Sunday Sevens. Gorgeous knitting, I am sure baby wont mind when its delivered, it is stunning. Sorry about the phone, mine got wet as well, and never worked again. Had to buy a new one, and now it is banned from any room that may have any water source in it. Lol. Since your contract sounds pretty new still, contact the supplier or Apple, maybe they can still replace it. Delicious looking cake, well done. 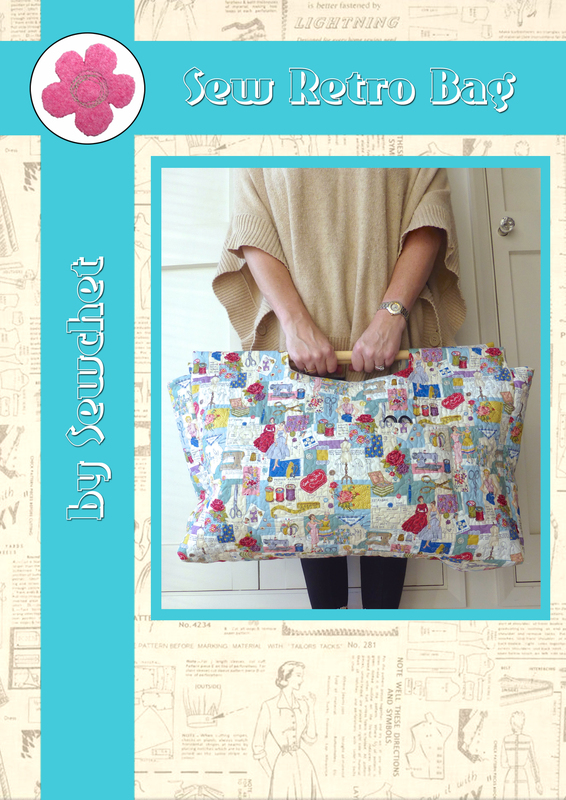 It’s not insured as I’m so careful with my things – unlike my husband! He is (and was then) banned from touching my devices, not that that helps now…. Then I will keep my fingers crossed it decides to wake up while resting in the rice. 🙂 My son in law is just as bad with phones, he mainly have it dropped, anywhere from as close as the coffee table, to a 5 storey high building scaffolding. The screen has been replaced numerous times now, but it is still good. That dress looks like a good idea. I do like a comfy dress to mooch about in and it would make a change from the yoga trousers I usually put on for a ‘relaxed day in’. I’m a big fan of carrot cakes but they have to be moist with a capital ‘M’ and definitely have walnuts in. Your one looks divine. I love nuts in a carrot cake but had to leave them out of this one as there were people who are allergic and I didn’t want to be the cause of a hospital run! It was Moist though:) I was determined to make a comfy dress to slob around in because I feel like a down and out in leggings and a T-shirt! The cake looks delicious! I can imagine how cross you were about your phone – are you back on speaking terms?? Only just – I was SO cross! Ouch sorry about the phone. I’m sorry about the phone. A trip through the washing machine doesn’t sound promising at all. I hope it revives. The lacy knit border is beautiful. I’ll bet it’s soft, too. Mmmmm. 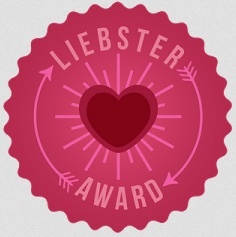 Congratulations on the successful fundraiser! Well done. No sign of drying out yet – not good for business! The blanket is alpaca and silk so is super soft, but not itchy, perfect for a baby. Ohhh 😦 these things only happen when your phone is fairly new!